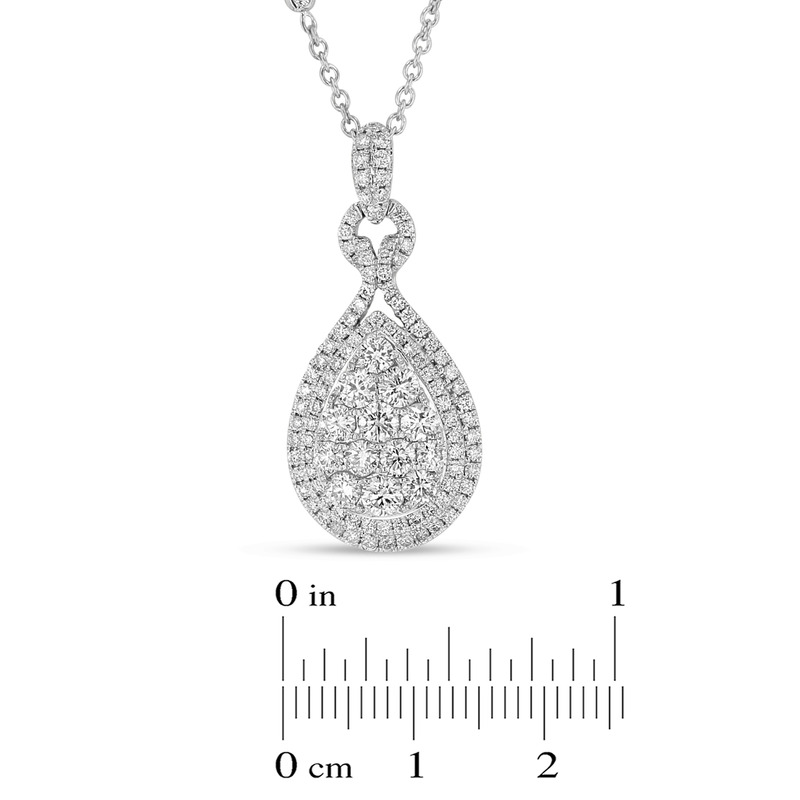 This fashion pendant has 1.85ctw of diamonds and comes with a diamond by the yard chain that has 0.10ctw of diamonds. 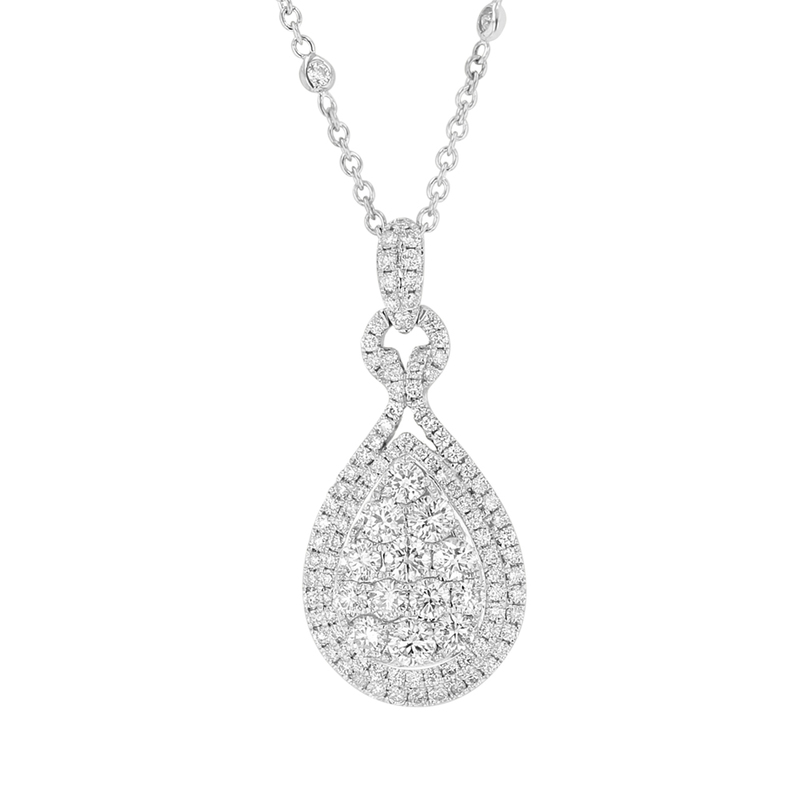 This pendant is in 18k White gold. Please contact us for availability.